Speedway officially opened for the 2014 racing season. 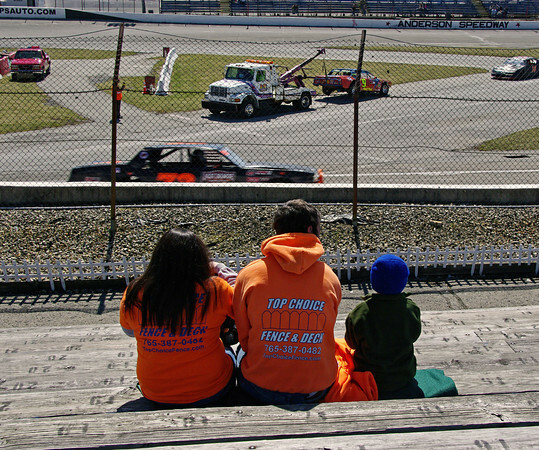 Kristen, Matt and Colton Vanalst watch Thunder Car practice during opening day activities at Anderson Speedway. Matt is the brother of CRA Late Model Sportsman Series driver Greg Vanalst of Dalville.